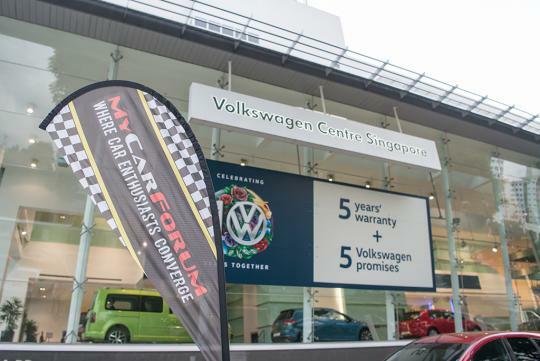 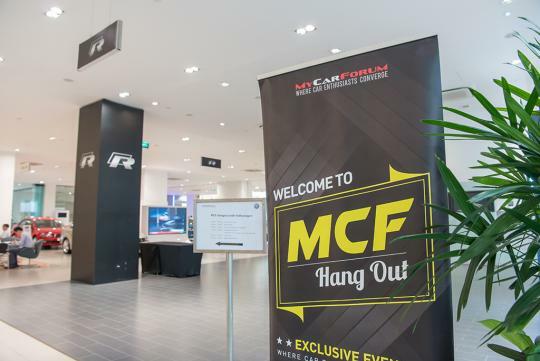 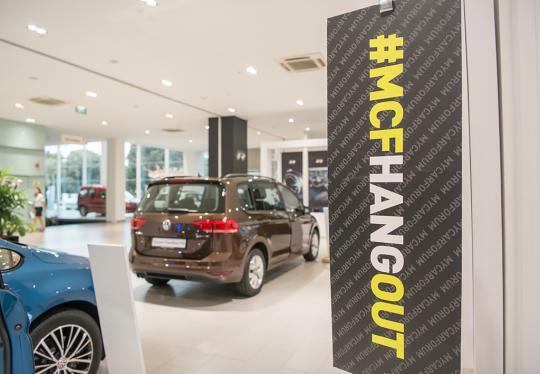 More than 80 MyCarForum (MCF) members, together with their partners and family, gathered at the Volkswagen showroom at Alexandra Road yesterday evening to attend the MCF Hangout with Volkswagen. 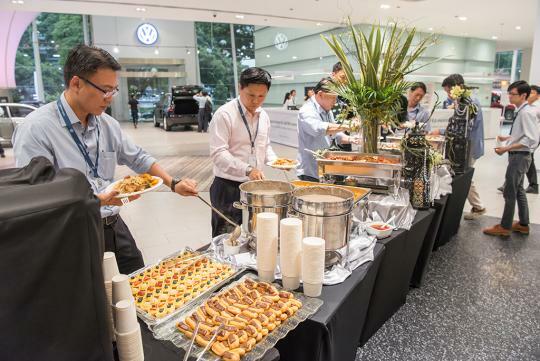 The event was a chance to showcase the full range of Volkswagen models and their high-end features and technologies, as presented by their highly-trained service team. 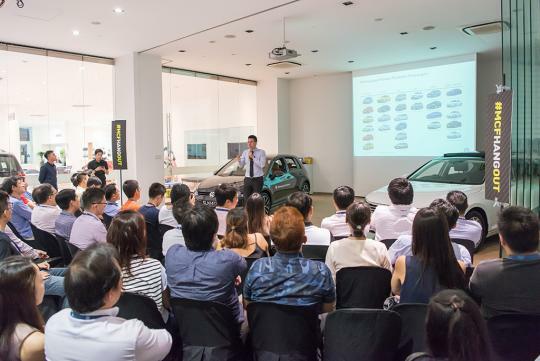 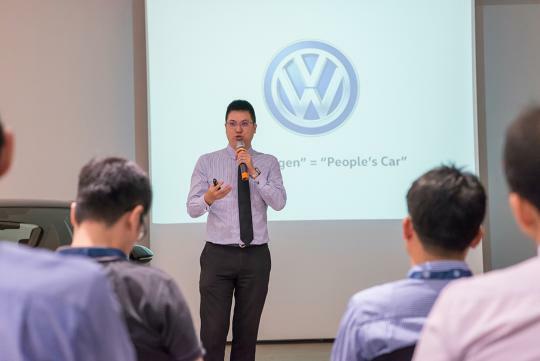 The event featured a presentation by sgCarMart Senior Automotive Journalist Nigel Yong, who shared about his own personal experience as a Volkswagen owner, from ownership to the servicing experience at Volkswagen Centre Singapore. 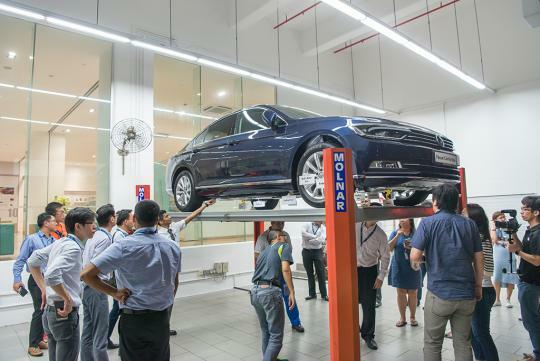 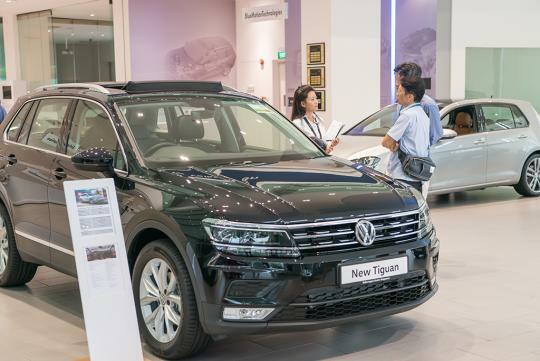 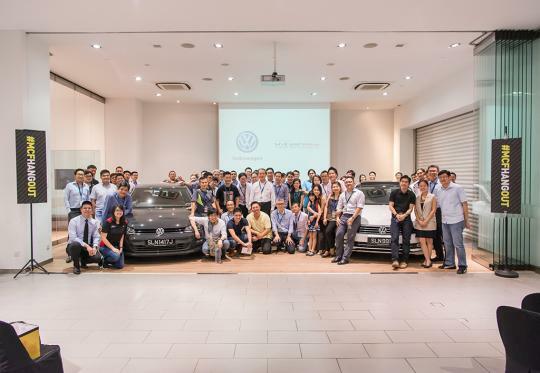 MCF members were given a tour of Volkswagen Centre Singapore's facilities, and got a chance to experience and understand better Volkswagen's range of models in Singapore. 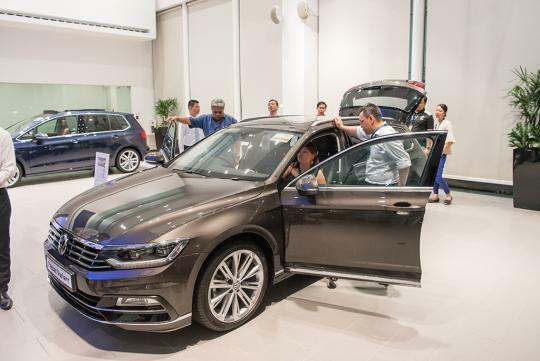 Along with test driving the various Volkswagen models, there was also a lucky draw, with prizes such as exclusive official Volkswagen merchandise, as well as the grand prize of the 3D2N test drive of the Volkswagen Tiguan. 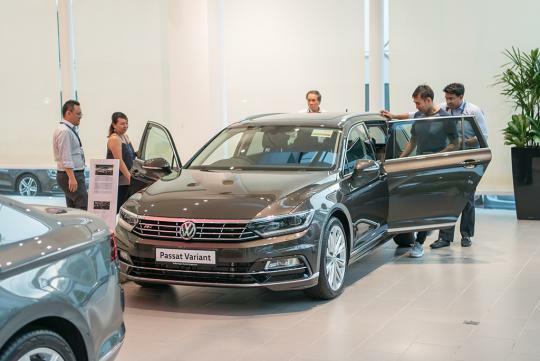 Participants got a chance to check out the latest Volkswagen models before the programme started. 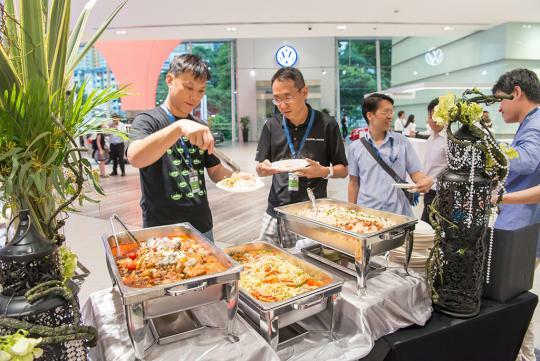 Members tucked in to a sumptuous buffet dinner to fill their tummies. 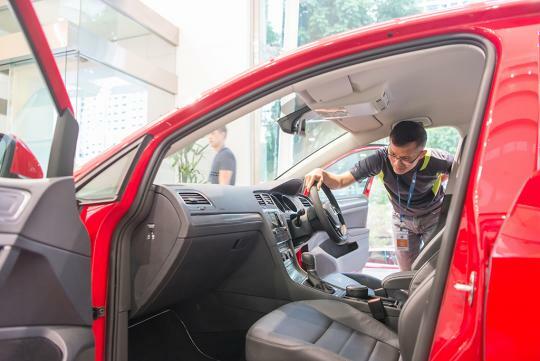 Some members also took the opportunity to go for a quick test drive. 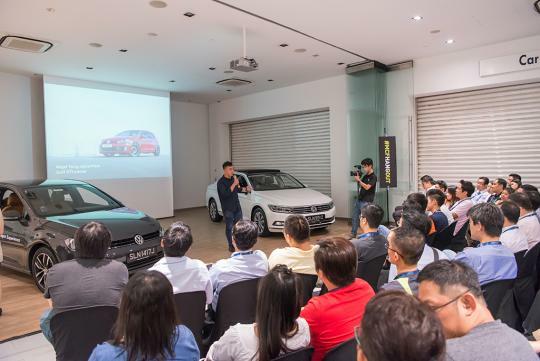 The programme kicked off with a presentation from Volkswagen's Product Specialist, Ernie Chua, about the brand's values, as well as some eco driving tips. 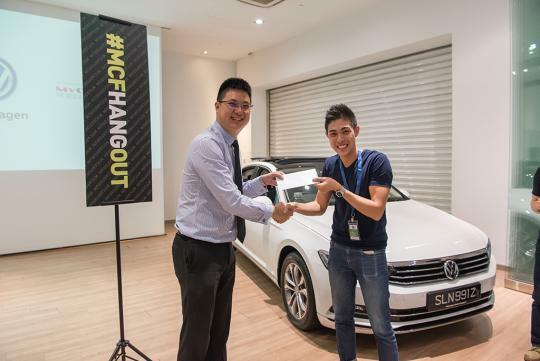 Some members walked away with exclusive Volkswagen prizes following a short quiz after. 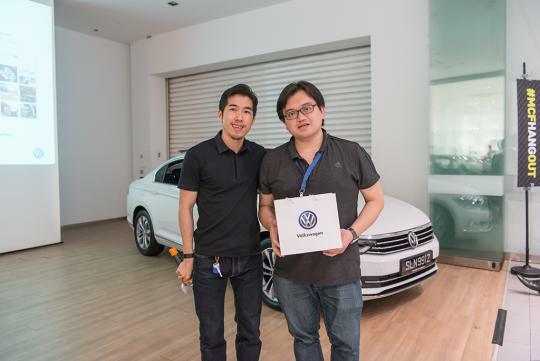 sgCarMart's Senior Automotive Journalist Nigel Yong shared his experience as an owner of a Volkswagen Golf GTI. 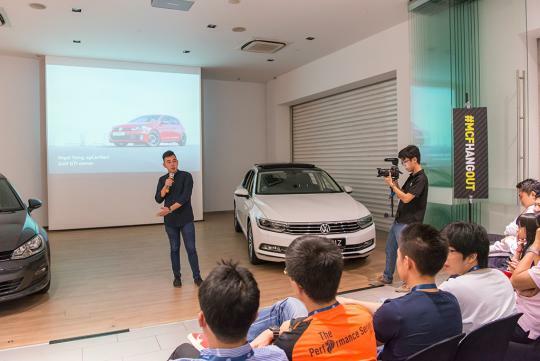 After the presentation, members were split into groups and introduced to the various features that goes into a Volkswagen, as explained by the highly-trained and experienced Volkswagen staff. 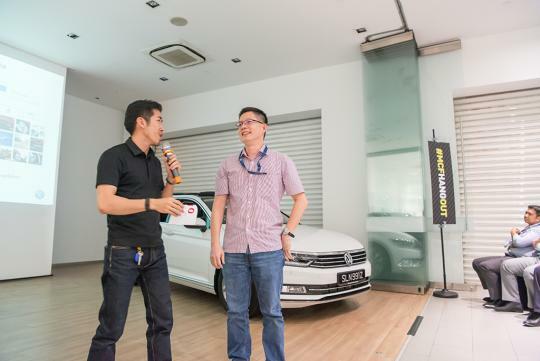 And at the end of the night, one lucky winner walked away with a 3D2N test drive in the new Volkswagen Tiguan. 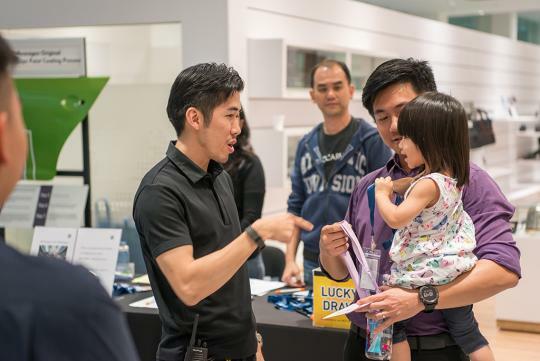 All smiles! 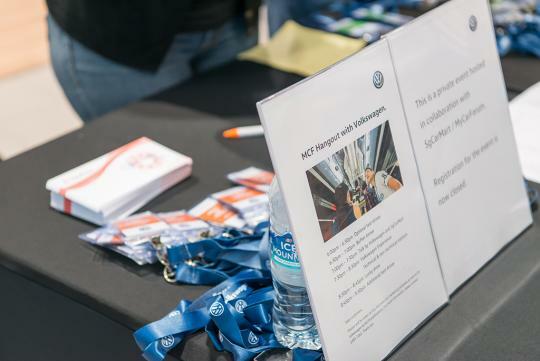 So did anyone pop the hard question? 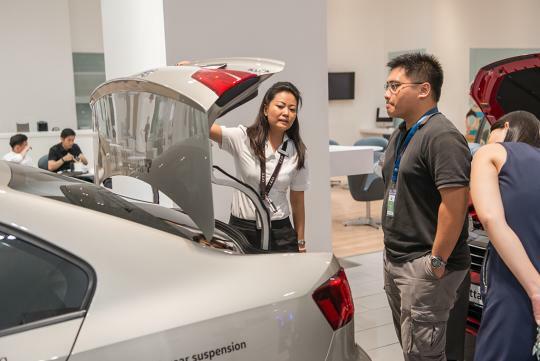 Likely not. 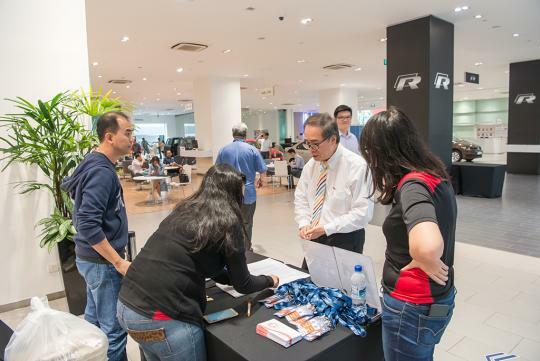 Same like Singapore. 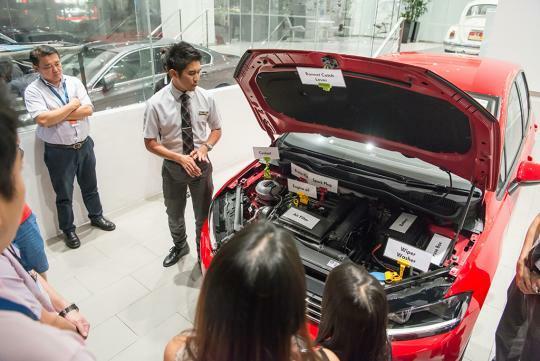 Controlled and tight lip. 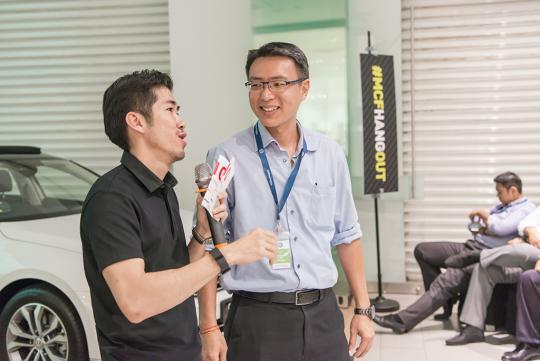 What's the hard question sir?